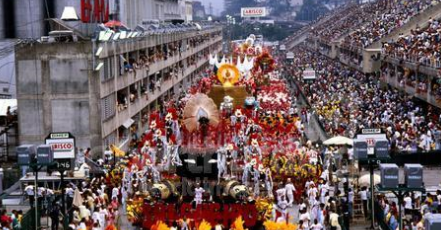 Rio is perhaps best known for her colorful and musical annual carnaval. 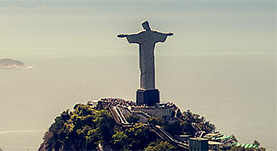 It is time to look forward to the next Rio Carnaval 2015 between February 13th – February 17th five days preceding Ash Wednesday, marking the beginning of Lent. The Carnaval is a nice spectacle with samba, beer and sparkling sensuality – the world’s largest and most famous Carnival. In March 2015, estimated two million people every day. Thousands of people make pilgrimages to Rio to take part in the annual samba festival also called the baddest party on the earth. The carnaval (or Carnaval in Portuguese) lasted for 5 days and 5 nights. At the opening ceremony the mayor of Rio give the city’s keys to “King Momo” (Rei Momo in portuguese) and the carnaval king declares the carnaval open according to the tradition. During the carnaval is a high pulse and great party-atmosphere with 1,000 blocos (street bands). There are more car accidents and the prices are generally higher, but on the other hand you should not complain since you are at the world’s most famous carnaval! Carnaval in Rio is beautiful but can seem a bit monotonous for Brazilians from other regions. Brazilians from other states will tell you with a small touch of envy that the Rio Carnaval is almost the same thing every year and they can argue for hours the place for the best carnaval. Ok let us face it – gringos in general only have heard about Rio. But the carnavals in Brazil is going on like a tour since the big stars, like Ivette Sangal, can not be in the same place all the time. There are competing carnavals with different flavours in Recife (frevo), Fortaleza and the street carnaval in Bahia (Salvador). The official parade is not free and you must buy ticket for the stadium. The Sambodromo (also known in English as Sambadrome or Sambodrome) is the “stadium” of samba constructed to host the samba schools with a 700 meter parade runway. Carnaval on the purpose-built stadium is probably the world’s biggest and greatest show with colorful dancers, drummers and cars for the attention of the audience and jury. It is possible to have a look at the spectacle when they are rehearsal for the Carnaval so if you look at some of the big Samba schools you will have a good time. There are also free street parties everywhere. According to one version, the Portuguese from the Azores, Madeira and Cape Verde started the first carnaval in Rio in 1723. In the beginning the carnaval was a prank in which participants threw water and fruit at each other but the tradition lived on. During the 1800s, the carnaval was elegant high society balls, which also usually mentioned in Carnaval history. In the 1920s, started the first samba schools. There are different samba schools that are competing with each other much like sport teams, representing different areas of the city. The subjective competition, when the winner is announced at the ash Wednesday, is very much disputed. The samba schools create floats and costumes, compose music and lyrics and choreograph the dance shows and there’s no cash prize for first place, only a trophy. Tourists can expect to pay between $50 and $100 to hire or buy costumes depending on the prestige of the samba school responsible for creating it. The Cariocas are rehearsing for carnaval, for instance Karl Pilkington went to a training samba in the funny episode when he went to Brazil. Top 12 samba schools competed in the top league 2011; the lowest-ranking are demoted to the minors. Excluded Samba schools during 2011 from the competitive scoring – because of the big fire. 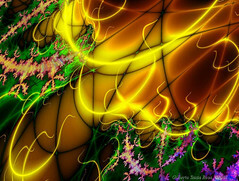 Only four weeks before the start of the carnaval was a major fire in Rio de Janeiro. The carnaval is in February or early March depending on the Easter.